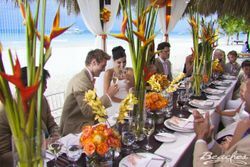 Hoopes Expert Destination Events | Free Destination Wedding a Dream? 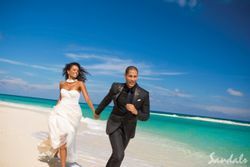 When most brides dream of a perfect, destination wedding, it usually includes warm, powder-white sand beaches, fragrant, tropical flowers and guests dressed in casual, laid-back beach attire. Of course the picture quickly becomes obscured with dollar signs popping up all over that perfect picture. The dream pops, turn the page...right? 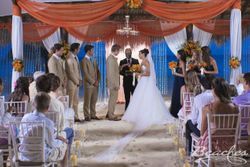 Not so fast, what if we were to show you how you could have the beach wedding of your dreams at an affordable price on almost any budget? 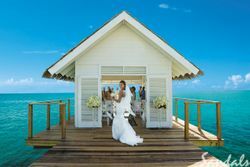 Let’s break down a destination wedding and figure out how to make it happen. A wedding consists of five parts: the couple, the guests, a location, decor and food. First, the couple - the couple will be traveling to their honeymoon location anyway so getting them to the wedding is pretty simple. Second, the guests - the guests want to get away as much as anyone else. 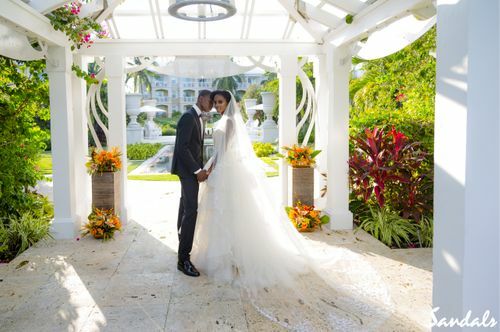 You just need to plan your wedding at a location where they want to go. 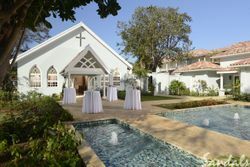 Third, a location - a lush, Caribbean resort where their favorite niece or nephew is getting married should be enough to entice even the most stubborn relatives to put in an appearance. Fifth, food - no matter where you go with your guests, you’ll need to provide some food so it doesn’t really matter if you’re at home or far away. 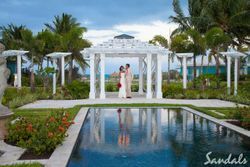 The reality is you may be surprised to realize that Sandals/Beaches resorts offers a destination wedding package that’s free! All you pay for is a standard three-night stay at the resort. Everything else for a basic wedding is included. Convince enough of your guests to take a break with you and you can upgrade the basic package for free. 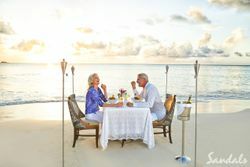 There’s way more to this than we can put into a simple blog, so contact Hoopes Events or our partner Hoopes Travel and let us help you fulfill your Destination Wedding Dream.